Patent filings show new features that may be coming to updated Model S and Model X cars later this year. Chinese startup automaker Byton makes another appearance at CES. And our latest Twitter poll asks readers which electric pickup they think may hit the roads first. All this and more on Green Car Reports. On Sunday night, Musk took to Twitter to announce that the company would break ground on its much-needed second factory on Monday. The new plant in China will produce “affordable” Model 3s and Model Ys for the Chinese and surrounding markets. A patent filing late last year shows a new Windows-like control interface that may be coming to updated Model S and Model X cars later this year. The screen will allow drivers to see four functions at once. 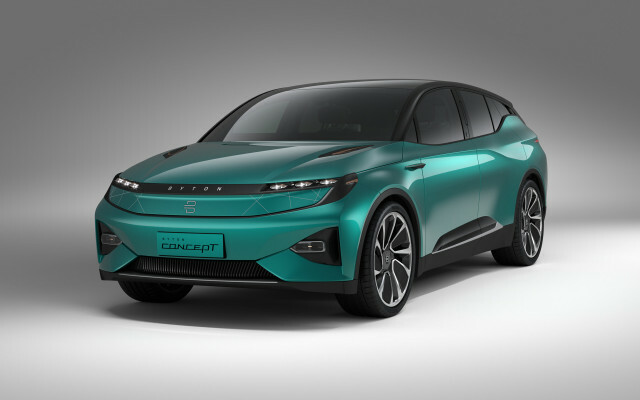 Chinese startup automaker Byton will make its second appearance at the CES show in Las Vegas this week, after giving rides in its M-byte SUV last year. This year, an updated M-byte that’s closer to production will have a curved screen across the dashboard, more screens for rear passengers, and even a few actual buttons for driver controls. If 2019 is the year of the electric SUV, it’s also the year of electric pickup concept announcements. Our latest Twitter poll asks readers which company they think will get an electric pickup on the market first: Rivian, Tesla, Ford, or Bollinger. Finally, Jay Leno got a chance to test drive the new Mercedes-Benz EQC 400 prototype and released a new video on “Jay Leno’s Garage” to rave about the experience.